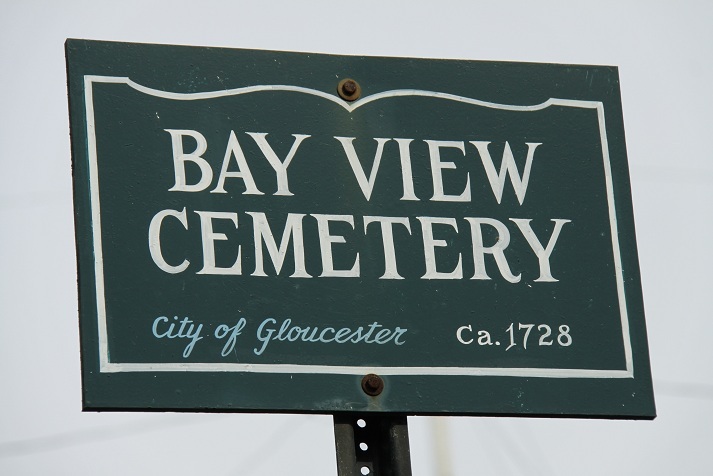 Gloucester, Massachusetts is a charming seaport village, and was the home to my oldest colonial ancestors, including Philip Stainwood (selectman of the town and resident as early as 1654), and Rev. 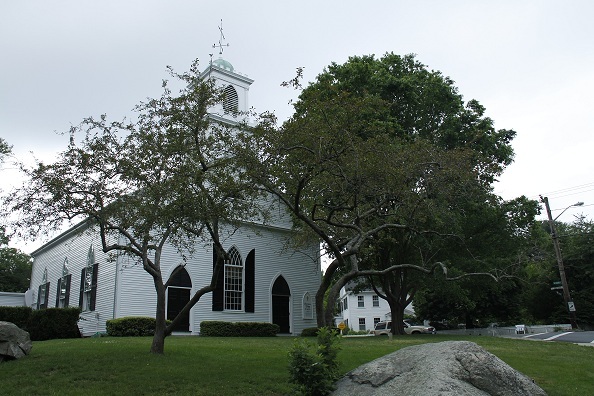 Benjamin Bradstreet, who was the first pastor of the Third Parish Church, now known as Annisquam Village Church. While the picture above is of the church’s subsequent building (the original meeting place burned down), it is on a beautiful hill right at Lobster Cove Landing. I would be remiss if I did not mention Friday’s adventure. 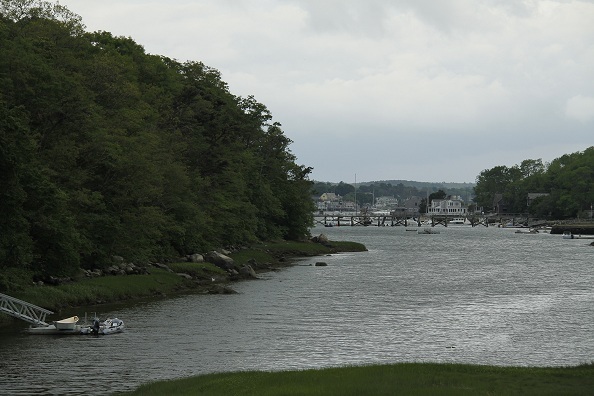 Having taken the train to Gloucester, we relied on the Cape Ann Transportation buses to get around town. Boarding the bus at 3:15 p.m., we headed to Annisquam. Our 15 minute bus ride lasted an hour and fifteen minutes; the bus was held up waiting for the police to arrive after a kid shot at the driver’s window with a BB gun. Thankfully, the window was closed but it certainly left quite a mark. After visiting Rev. Bradstreet’s church, we set off on foot to find his burial site at Bay View Cemetery. Guided by the GPS on my iPhone, we decided to take some small side streets to the location displayed by the map. Fearing for our lives, we turned back to a main road after we saw how the cars drove on this windy streets without side walks. Thankfully we did – it turned out the GPS was wrong and the cemetery was actually in a different location than depicted. I was so relieved to FINALLY make it to the cemetery, and was not about to be deterred by the many weeds and warnings about entering. Dressed in capri jeans, I ignored the signs that suggested wearing long pants with legs tucked in socks to prevent tic bites. To my knowledge, I did not get bitten, but I certainly did get scratched up by the tall grasses and weeds! 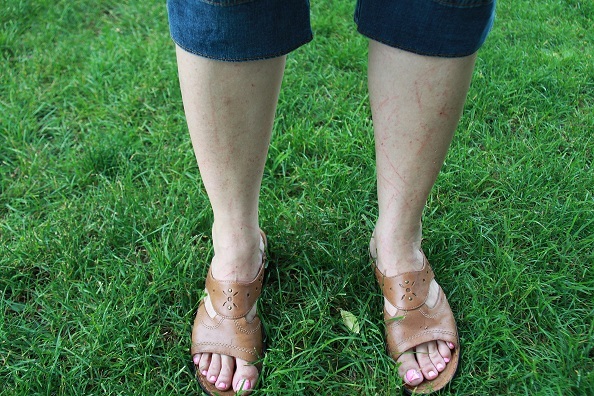 Hmmm….it looks like I was attacked by a rabid cat! Sadly, I was unable to find Benjamin’s gravesite. Many of the headstones were damaged, and others were hidden by the tall weeds in the cemetery. 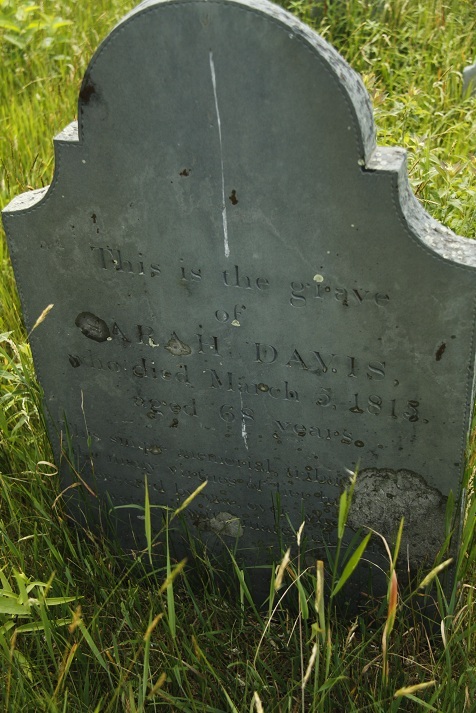 Since he died in 1762, it’s not surprising the headstone is gone, but given that it was included in a transcription project, I was sure hopeful. At least I was able to photograph many of other intact headstones, and will later add to Find A Grave. After concluding the unsuccessful search for Gr. Gr. Gr. Gr. Gr. Gr. Gr. 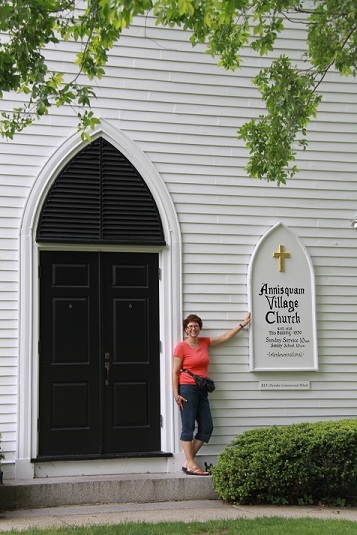 Grandfather Benjamin’s headstone, we headed back to Annisquam Village Church to wait for our bus. Just being able to see this church made the entire day. 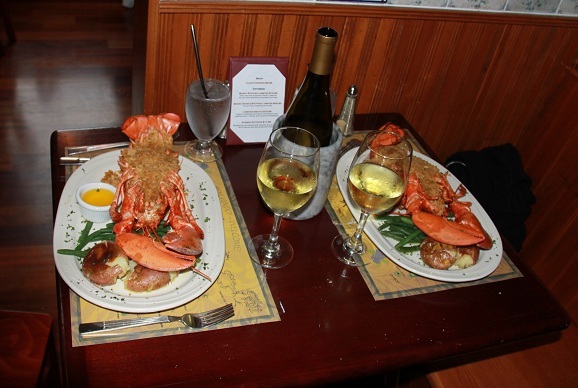 After heading back into town, Ed and I had a delicious stuffed lobster dinner at Azorio’s restaurant, paired with a delicious Chardonnay. I guess we were a bit giddy on the train on our way back, as a girl asked if it was first time on a train before. 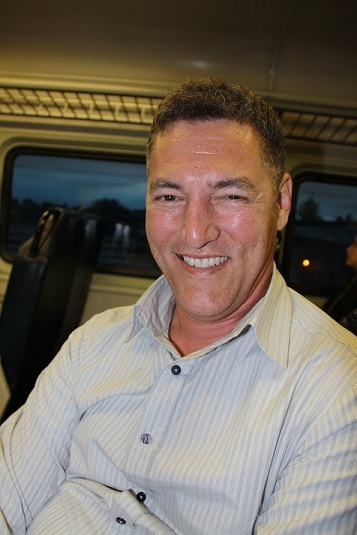 🙂 Here is a pic I snapped of Ed on our return trip. Thank you honey for being my wonderful traveling companion! This entry was posted on Saturday, June 18th, 2011 at 6:11 PM	and tagged with Stanwood and posted in Research Trips. You can follow any responses to this entry through the RSS 2.0 feed. « New England 2011! Here we are! Excellent!! Sounds like a great trip! Can’t wait to hear more about your genealogical finds! Can you tell me if you ever ran across the name Dorcas Stanwood? my line Dorcas was from gloucester Mass. We had her birthdate as 1773 but in the 1850 census it approximated 1784 as her birth year. She married Samuel Crafts and moved to Corinth Vermont. I cannot seem to find her parents but there was a Dorcas Stanwood in the 1830 census, possibly her mother? Thanks for any help you can give me. All were born earlier than your Dorcas. If you are a member of NEHGS, you may wish to check their web site. They have the Essex Antiquarian as well as the VR of Massachusetts online. (The Vital Records are free for all, even non-members.) Hope this helps.